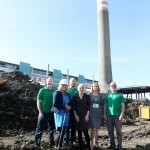 The WISER LIFE Project was officially launched on Monday March 14th, as the sod was turned at the Ballymun Boiler House site. The project will see the transformation of the iconic building into a ‘3-D textbook’, an innovative architectural prototype in educational space design, which will demonstrate excellence for reuse in Ireland and serve as a platform to advocate for the circular economy. 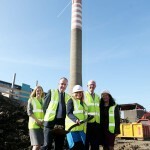 The re-purposing of the Ballymun Boiler House, as part of the WISER (working with industrial spaces to exemplify reuse) LIFE Project, will establish Europe’s first 3-D textbook as a centre for excellence in education for sustainable development highlighting best practice reuse and resource efficiency. This new approach to educational space design demonstrates the ability to incorporate active learning through building design, construction, operation and occupation. The plan for the building involves its reinvention as an innovative learning space showcasing best practice eco-design, construction and material use. The building will be constructed using recycled materials, with energy and water systems designed to conserve precious resources and demonstrate the latest research with regard to environmental sustainability. The centre will deliver targeted environmental workshops and education programmes for all ages and provide green services and products created on-site by waste reuse eco-enterprises. Representing An tArdmhéara Críona Ní Dhálaigh, Councillor Noeleen Reilly said, “I am delighted to be in Ballymun this morning for the sod turning ceremony for this wonderful initiative. I am hopeful that the project will influence visitors to transform their lifestyles by up cycling and reusing materials at home and at work to minimise waste and adopt smarter consumption habits and so achieve a more resource efficient society”. 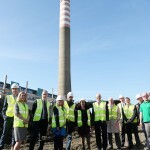 Commenting on the project, Owen Keegan, Chief Executive Dublin City Council said “This is great news for Ballymun, a major step forward for the community and a welcome boost for the local economy. 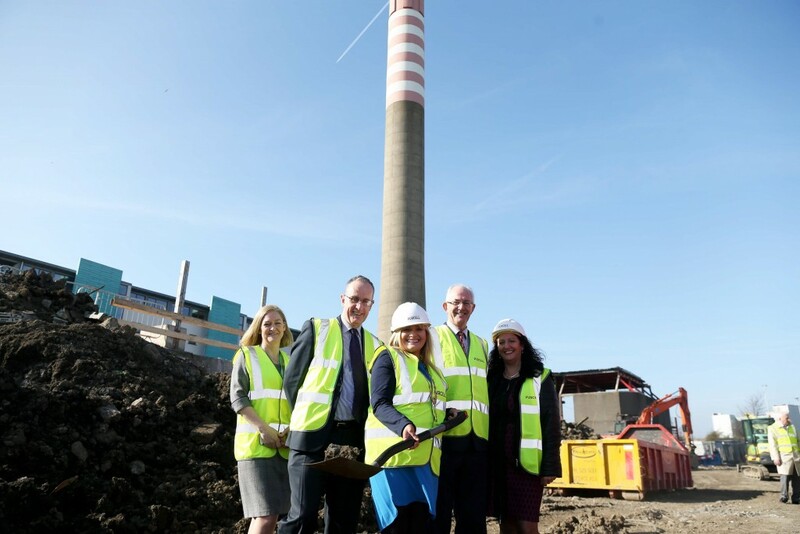 This iconic industrial building which has served the people of Ballymun since its construction in the mid 1960’s and was due for demolition is now being given a new lease of life. 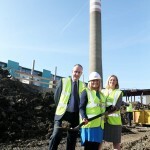 The Council is committed to promoting and encouraging prevention, re-use and recycling of waste and this project will demonstrate how a building which is now defunct can be reused and upcycled to provide an innovative and sustainable facility of local, regional and national importance”. CEO of The Rediscovery Centre, Sarah Miller said “Now that the project is underway, the Rediscovery Centre is one step closer to realising its vision for an experiential education centre. Using the rich resources provided by the built, natural and cultural environment as teaching tools it is the most effective way to learn about sustainability and complements our ongoing research and reuse social enterprise activity”. The WISER Life Project will result in the creation of an educational space and innovative experience that will demonstrate excellence for reuse for Ireland. Challenging conventional thinking about how we live it will stimulate positive behavioural change and highlight how we can use our resources wisely to achieve a more sustainable society. The project has been funded by the EU LIFE+ Programme, The Department of the Environment, Community and Local Government, Dublin City Council and The Rediscovery Centre. ABK Architects, who have considerable experience in sustainable development, was awarded the design contract and Purcell Construction awarded the construction contract. The project is due for completion in October 2016. The WISER LIFE brochure for the project is available here to download. Thank you to everybody for your support to date and we will keep you posted as the project progresses on this site or you can follow us on the WISER LIFE Facebook and twitter pages.